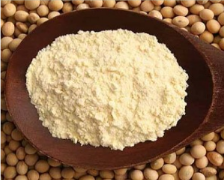 Defatted Soya Flour – Untoasted is obtained from Indian NON GMO clean, healthy golden yellow soyabeans by the process of dehulling, flaking, extracting, desolventizing, and grinding in a pneumatic mill to requisite particle size to get a fine powder of white to creamish color. 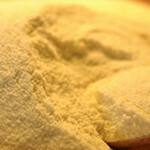 Defatted Soya Flour – Untoasted is a high protein, low in fat product and is the simplest form of soya protein. 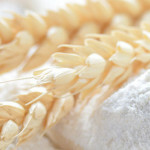 The protein content of the flour is 50-54%, much higher than the flour from other grains. 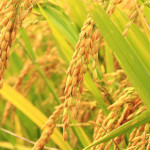 The soya flour contains high quality protein & is an excellent source of iron, calcium & B-vitamins. The only nutritive & functional protein which is fully fat proof. Nutritional soya flour is an excellent compliment to lysine limited cereal protein with other essential minerals & vitamines and this is indicated by its use in fortification of cereals to form composite flours, as a replacement for non fat milk, solids in bakery products all purpose food blends, texturised vegetable proteins. 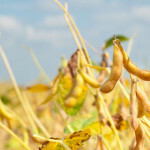 Application:- Defatted Soya Flour – Untoasted maintains the balance of Essential amino acid of the body which is required for the development of muscle, connective tissue & enzymes our body needs. Packing:- 50 Kg HDPE / 25 Kg Paper Bags. Particle Size : 60, 80, 100, 200 Mesh.